That was the message given by E.U. foreign policy chief Federica Mogherini after a meeting in Brussels Monday of foreign ministers from the 28-member bloc. 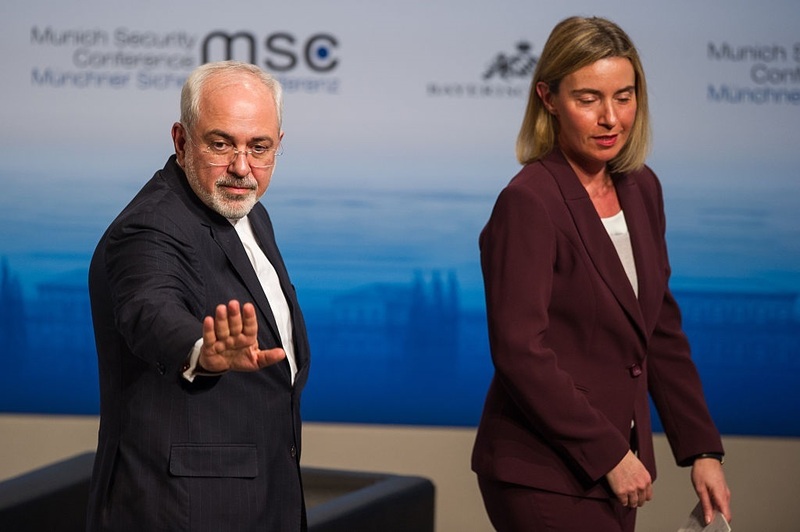 The Trump administration has been pressing other countries to act against Iran’s “malign” conduct in the region and beyond, but its repudiation of the 2015 Joint Comprehensive Plan of Action (JCPOA) nuclear deal has drawn no official support in Europe. Instead, the E.U. is working on setting up a “special purpose vehicle” (SPV) to facilitate financial transactions with Iran, to allow European companies to continue to do business with the Iranians despite U.S. sanctions which have now been restored. Danish Foreign Minister Anders Samuelsen went to the meeting in Brussels, eager to get his colleagues’ support for punitive measures against Iran in response to the foiled plot to kill an exiled Iranian dissident on Danish soil. Danish police have in custody a 38-year-old Norwegian national of Iranian origin, who is charged with providing assistance to espionage efforts in Denmark and for attempted involvement in a killing. France is also believed to be supportive of new E.U.-wide sanctions. Its government early last month unilaterally imposed sanctions on two Iranian suspected intelligence operatives and a division of the regime’s Ministry of Intelligence and Security (MOIS), in response to another foiled terror attack – a plot to bomb a dissidents’ rally in Paris over the summer. One of the two men sanctioned by France, an Iranian diplomat posted to its embassy in Vienna, is in custody in Belgium, along with three other suspects of Iranian origin, in connection with the bomb conspiracy. A decision on imposing retaliatory E.U. sanctions on Iran would have to be unanimous, and previous attempts to put sanctions in place – over the regime’s ballistic missile program and actions in Syria and Yemen – failed because of a lack of consensus.